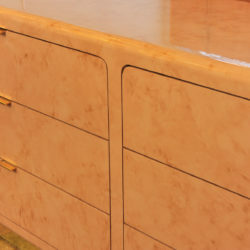 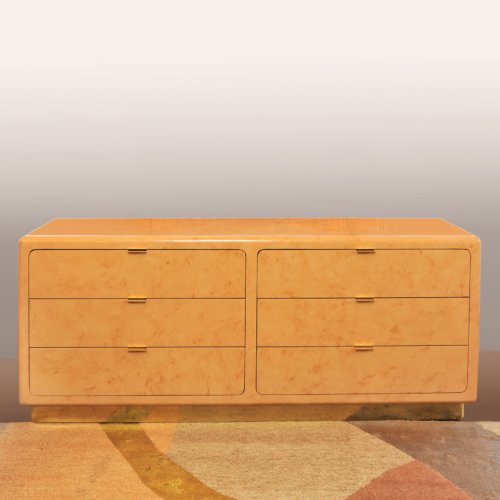 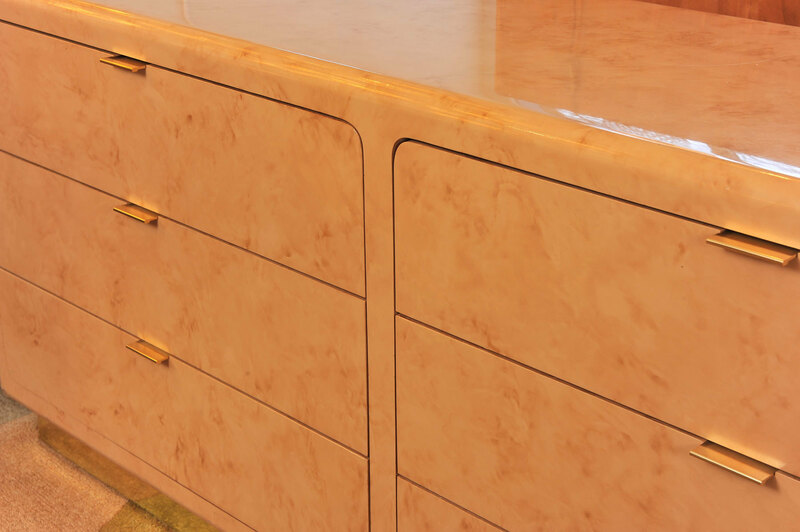 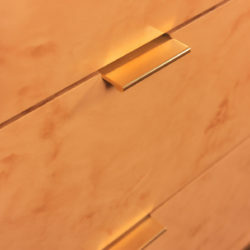 Hollywood glamour, smooth, curved edge, faux marbling, lacquered chest-of-drawers by US designer and decorator, Steve Chase. 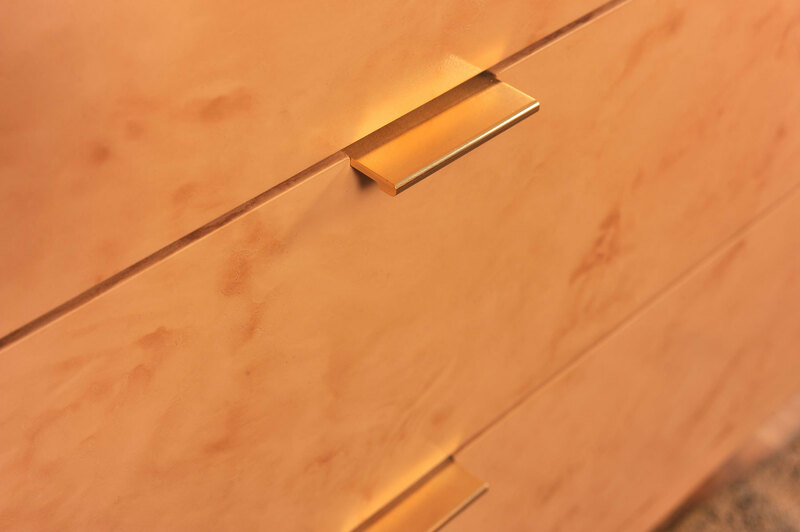 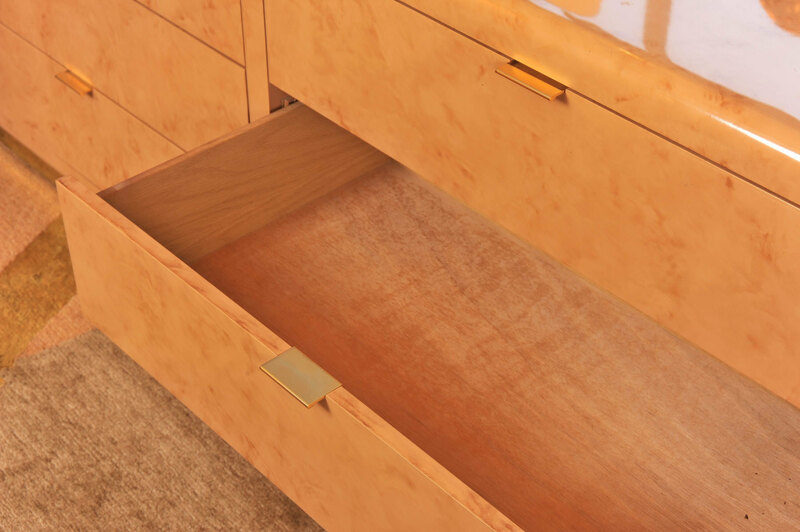 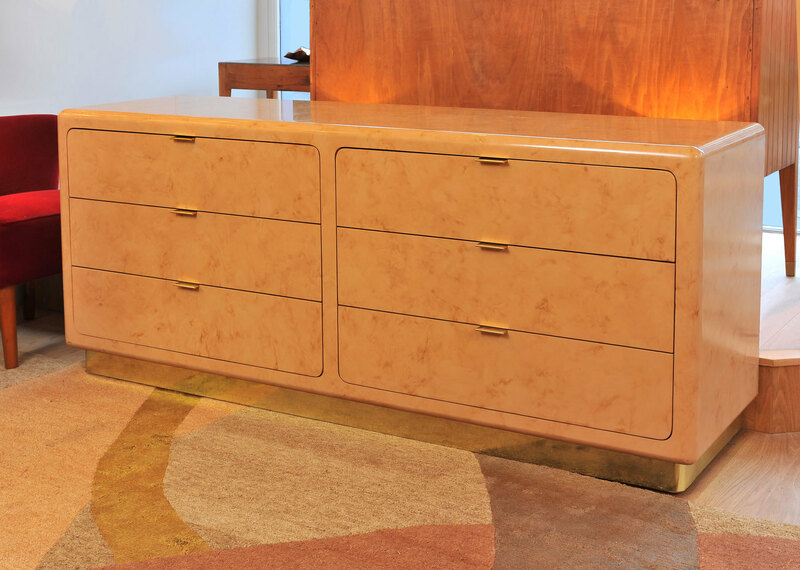 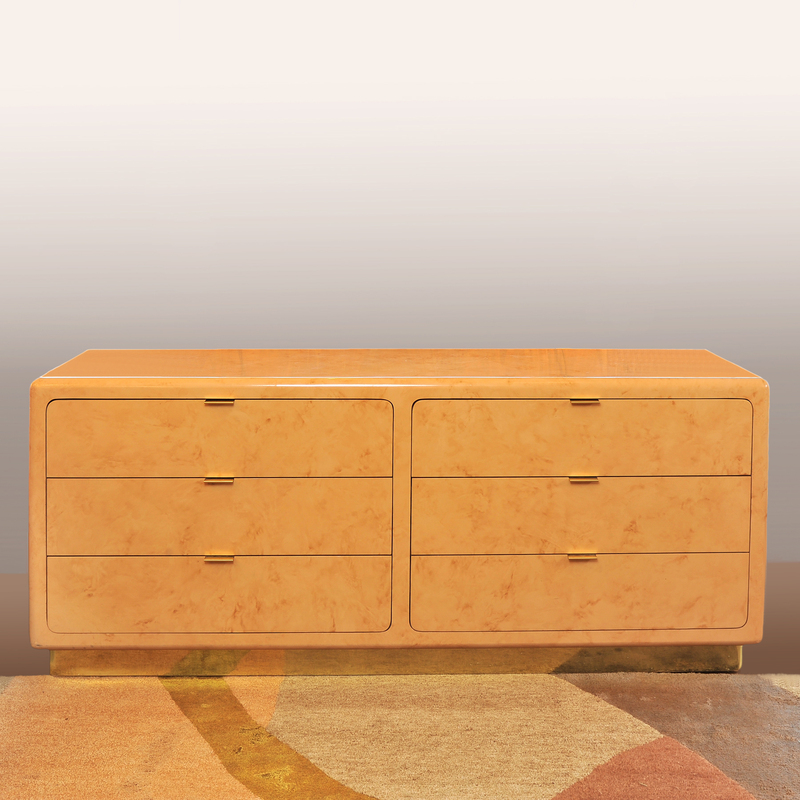 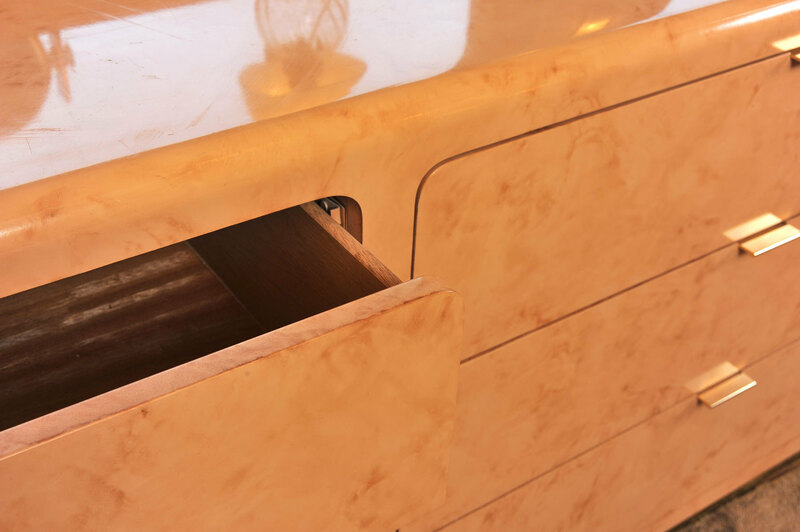 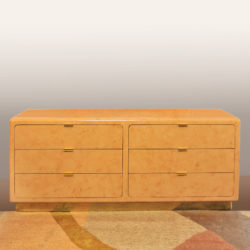 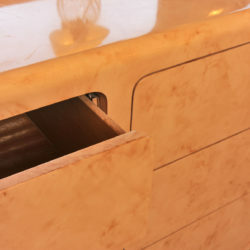 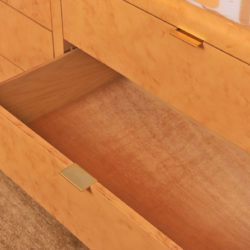 Six drawers with simple brass handles, sitting on a brass inset base with curved edges. 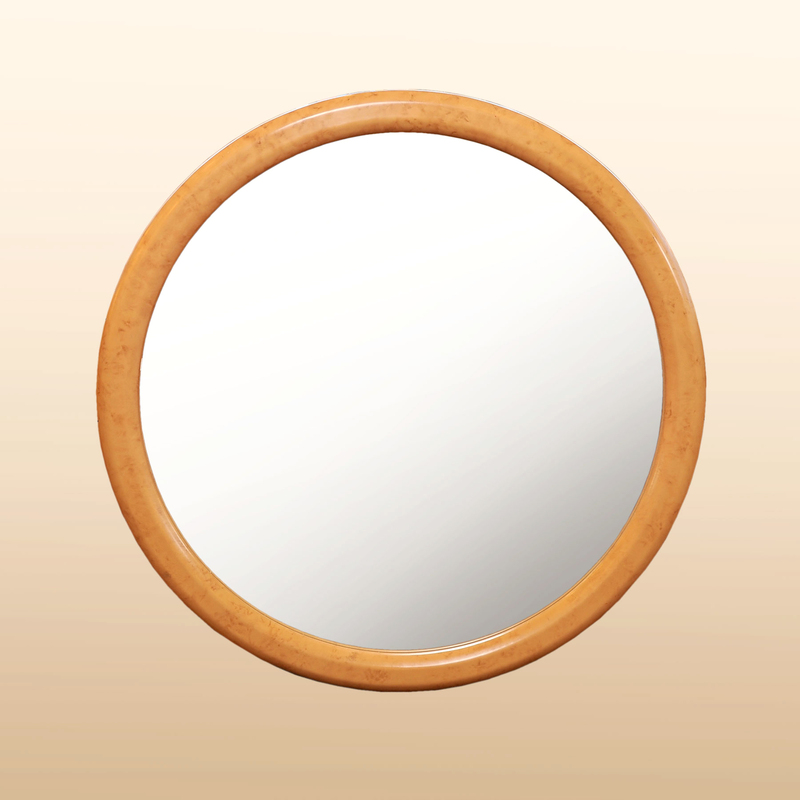 Matching large circular mirror (see MW910). 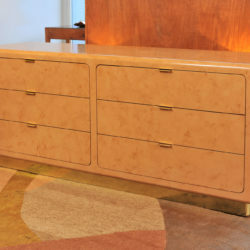 Sold either as a set or individually.